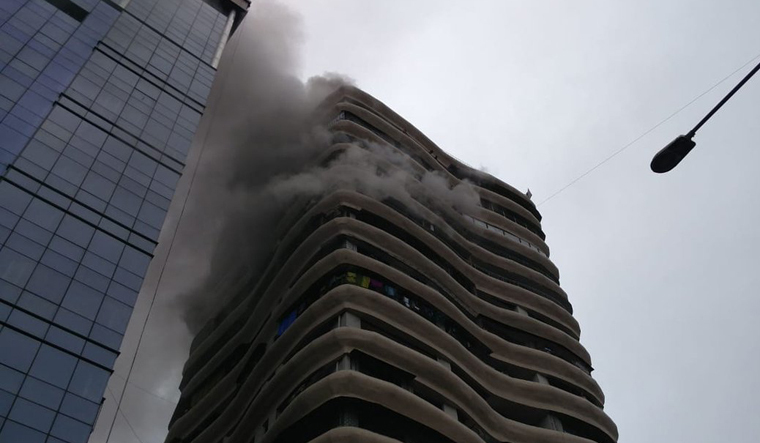 Four people were killed and 16 injured in the fire accident that broke out at Crystal Tower near Hindmata Cinema in Mumbai's Parel area on Wednesday, news agency ANI reported. Police are yet to identity two of the four deceased. "Total 16 were brought to hospital, of which 2 were brought dead; 1 is a senior citizen lady & other is a male, condition of others stable," ANI quoted KEM Hospital Dean earlier in the day. Rescue operations are on after a level-III fire broke out at Crystal Tower near Hindmata Cinema on Wednesday. The flames have now been doused. The smoke from the raging fire spread rapidly and residents were trapped on the building's staircases, Mumbai Fire Brigade chief P.S. Rahangdale said. A crane was deployed at the spot to rescue those trapped inside the building. The fire broke out on the 12th floor of the tower.